Established in 2016 as a subsidiary of 3N Power. 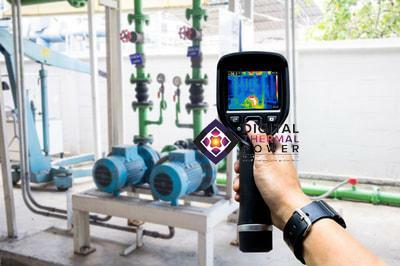 We at Digital Thermal Power is specialized in providing an End to End Thermography Inspection. Hence, we believe that it is not just enough to highlight the problems. We Believe in One Stop Inspection by quantifying and rectifying the problem. We at Digital Thermal Power believe in the importance of emitted radiation to easily understand our environment and by using this technology we have successfully launched three application in less than six months since we have established, and we are continuously discovering the benefits of infrared technology to maintain our standards and on how useful it is to our clients. To become the leader of Thermography Inspection in the Middle East by providing an exceptional End-To-End Service. To facilitate and manage the after-inspection process and exceed our client’s expectation by making it easy, provide accurate information in efficient and reliable operation services. As a pioneer of Thermography Inspection, we believe in using Innovative tools to support our clients need and to keep our standards in this field.